Chase British Airways Visa Now Free For The First Year For A Limited Time Only! -50,000 British Airways (BA) Avios for spending $2,000 within 3 months. -With this limited time offer the annual fee is waived on this card for the first year. It is $95 thereafter. This is the first time this year that the fee has been waived for the first year on this card. -You will earn 1.25 Avios per dollar spent everywhere and 2.5 Avios per dollar spent on BA tickets. 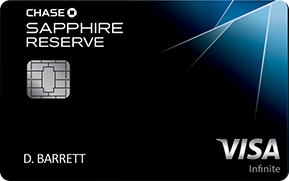 There are no foreign transaction fees and the card includes a chip to use when abroad. -Want to learn more about the BA Avios program? Read this article for everything you NEED to know about the BA program and how to best search for BA award availability with tips and tricks! If you have a question about Avios it’s probably already been answered there! -Get A 40% Bonus When You Transfer American Express Membership Rewards Points Into British Airways Avios! -BA Avios are awesome. They effectively fill the gap that is left by the major programs like American AAdvantage and United MileagePlus. The major programs provide a fantastic value for long-haul flights, especially for one-way flights, last-minute flights, stopover flights, or flights in business or first class. But most programs are not great for short flights. In 2011 BA launched the Avios program and for the past 3 years it has continued to provide an incredible value for short-haul flights. I’ve booked dozens of short-haul tickets using Avios for travel on American. A Cleveland-NYC ticket can cost $1,200 round-trip if you don’t stay for at least 3 days or if you book last-minute. But BA allows me to use just 9,000 Avios for that same flight, a whopping value of over 13 cents per mile. I can hop over to Chicago or NYC on a whim without any kind of mileage regret like I used to have in the pre-Avios days. -50,000 Avios has gotten me flights that would have otherwise cost over $6,500. Or those same exact flights would run some 140K American miles not even accounting for the $75 expedite fees and $150 cancellation fees that American would charge with their own miles compared to $0 expedite and $5.60 cancellation when booking an American flight with Avios! And how many other programs can say that they offer a flight to the Caribbean in coach for just 4,500 miles or in first class with 3 free checked bags for 9,000 miles? A flight from the west coast to Hawaii on American, Alaska, or USAirways is just 12.5K Avios each way. -You can earn a free companion award ticket every year that you spend $30K though it’s only valid for travel on BA or Open Skies. The companion travels in the same class of service, so if you redeem Avios for a first class ticket your companion flies in first as well for 0 Avios but taxes and fees will be owed. -There are no fuel surcharges for travel on American or USAirways within the Western Hemisphere. Flights start at 4,500 Avios plus $5.60. -Air Berlin flights still have no fuel surcharges systemwide and remain the cheapest way to get to Israel. They have flights to Israel from Berlin, Dusseldorf, or Munich for 10K Avios. Flights to several US cities cost just 20K Avios. -Niki flights have no fuel surcharges systemwide. They fly from Israel to Vienna for 10K Avios. -Aer Lingus flights have no fuel surcharges systemwide. A flight from Boston to Dublin or Shannon is just 12,500 Avios. From there you can fly elsewhere within Europe without paying fuel surcharges. Plus you can fly to Boston from cities like Buffalo, NYC, Pittsburgh, Philadelphia, or Washington DC for just 4.5K Avios. These flights can only be booked over the phone. -Alaska flights have no fuel surcharges systemwide with flight starting at just 4,500 Avios. These flights can only be booked over the phone. -LAN and TAM flights have no fuel surcharges systemwide. Some of their flights can only be booked over the phone. -Flights within Australia, Europe, Japan, and many other countries and regions have little to no fuel surcharges. -There are also no fuel surcharges for flying on Qantas within Australia. -Fuel surcharges on award-winning carrier Cathay Pacific are also pretty low and you don’t even need to fly all the way to Hong Kong (though you should-great city with awesome kosher food, airport lounges with kosher food, and a business or first class flight you’ll never forget!) to get a taste of their awesome service, seat, pajamas, and amenities. They fly a daily 777 nonstop between JFK and Vancouver which I reviewed in this trip report. -British Airways 5th Freedom Flights (flights that don’t depart from or arrive to the UK) have significantly lower fees. For example even though Singapore-Sydney is a longer flight than NYC-London the fees in first class on Singapore-Sydney are less than half of those from NYC-London. -There are no expedite or close-in fees for last minute award ticket bookings with BA Avios. -You can book one-way tickets for half of the miles of a round-trip! -You can cancel tickets and redeposit miles for the lessor of $40 or the taxes you paid. That means you pay just $5.60 for cancel a one-way domestic itinerary (and it’s part of the reason why I always book domestic flights as one-ways). -British Airways only charges 10% extra miles for a lap child flying internationally, even when traveling on AA. AA and other domestic carriers charge a whopping 10% of the full fare, which can add up to be a small fortune. When flying domestic you should just add the infant at the airport for free. -With short-haul flights starting at just 4,500 Avios you can get a lot of free travel from your Avios. Band 1: Flights that are 1-650 miles cost 4,500 Avios. Band 2: Flights that are 651-1,151 miles cost 7,500 Avios. Sample routes: JFK-Bermuda, Los Angeles-Cabo San Lucas, LGA-Chicago, LGA-Miami, LGA-West Palm Beach, Philadelphia-Miami. Band 3: Flights that are 1,151-2,000 miles cost 10,000 Avios. Band 4: Flights that are 2,001-3,000 miles cost 12,500 Avios. Band 5: Flights that are 3,001-4,000 miles cost 20,000 Avios. Band 6: Flights that are 4,001-5,500 miles cost 25,000 Avios. Band 7: Flights that are 5,501-6,500 miles cost 30,000 Avios. Band 8: Flights that are 6,501-7,000 miles cost 35,000 Avios. Band 9: Flights that are 7,001 miles or more cost 50,000 Avios. Be sure to read the BA knowledgebase for tips and tricks to make some flights cheaper. Other Chase cards you can apply for at the same time include the Chase Southwest Premier(50K signup bonus points for up to $960 of free flights with free award cancellations), the Chase Freedom (which has no annual fee, gives 5 points per dollar in rotating categories, and 10% bonus points in 2015 if you have a Chase checking account), the Chase United Explorer (30K signup points plus another 5K points for adding a free additional user, and it gives free luggage, free primary car rental insurance including in the US and Israel, expanded saver and standard award ticket availability, priority boarding, and more), the Chase Sapphire Preferred (40K signup points plus another 5K points for adding a free additional user, no fee the first year, free primary car rental insurance including in the US and Israel, plus 2-2.14 points per dollar on travel and dining with no Foreign Exchange fees), the Chase Marriott (with 50K signup points plus a free night upon signup and a free night every subsequent year upon renewal),the Chase Ink Plus (50K signup points, 5 points per dollar on telecom/office supplies, 2 points per dollar on hotels and gas) and the Chase Ink Cash (which has no annual fee and gives 5 points per dollar on telecom/office supplies and 2 points per dollar on dining and gas). 129 Comments On "Chase British Airways Visa Now Free For The First Year For A Limited Time Only!" I signed up for this and closed it a few years ago. @Dan f I had this card and closed it 3 months ago, will I get the signup bonus again? Any idea if the 100k offer will come around anytime soon? Seriously?? I just closed this yesterday to make sure I was still within the time frame to get refunded the AF. They could have at least offered to match me to the free offer. I guess it doesn’t really matter, I don’t use the card to daily spending anyway. Do you think they would waive my annual fee if I got the card about 60 days ago and was charged the fee on 10/1? If I had this card and got the 100k bonus 5 years ago will I get the bonus again? It says- can not get bonus if had the card in the last 24 months. Can’t I still fly using BA Avios even if I don’t have this card I can transfer UR into this, is that a good option/value? Reb dan, can I get te points transfer them somehow? How does that work exactly? I have chase freedom and sapphire. What is the best/easiest/safest way to find out when I closed my previous card? I have no idea how long ago that was.??? How about this? I just cancelled my card about a month ago. Dare I try now? I’ve gotten 6 personal cards from them in the last 10 months (nothing before). The last one I just got last month and I had to cancel my BA Avios card and transfer my limit to the United card that I asked for. I have avios thru other chase cards. have a hard time finding availability, (NYC OR PHL to TLV) and in many cases it would require overnight in Germany, not the best way (cost hotel, cabs etc). was last week at Newark, where swiss canceled a flight to Israel and offered LH via Fra. was a kidush hashem that many passangers refused to go thru FRA. made me think. savings is noce, but avios are not mekadesh anything. Will this work with this offer? Or will they not allow that with no AF? Or is that info outdated altogether? Also, when you click your linky, it states that you could not have had the bonus in 24 months (like many Chase offers). Would one need to theoretically speaking, have their Avios profile removed from their online account, and when applying, not give your Avios number? 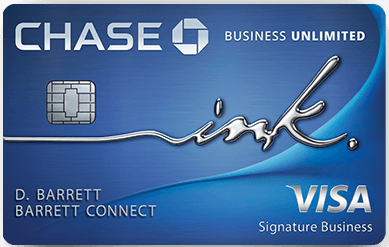 Just got approved for Chase Ink Plus (it took them 3 weeks to approve)I already have freedom and Saphire preffered and excellent credit. Can I run a 2BM with BA and United Explorer or is it too soon? As long as you got the bonus more than 24 months ago you are for sure good to go. Officially you need to wait 24 months from the last time you got the bonus. Seems like 100K is gone for good. Hasn’t been around for years. Don’t think it will be around for too long. You don’t need this card to use Avios. It’s just a good way to get more Avios. You can get the card and points accumulate in your Avios account. You can’t transfer them anywhere, but even after you close the card your points remain active. Just use or earn 1 point every 3 years to keep all of your points active. Avios are best used for short-haul flights. 50K points gets you over 11 free short-haul flights. You’ll have 30 days from when they make their decision to call for reconsideration. I own 3 chase cards, including Southwest. If apply for BA, would it create un needed review? will ask me to close SW Card? to check avios availability do I need to log in to my account? Hi Dan! I got this card 2 weeks ago, how would I get to them to waive the fee now? Any success with that? @Dan – I already got a bonus this year. If my wife signs up can her points be earned to my Avios account or will she have her own? Thanks. Dan, I just applied for for the UAL Explorer card Sept 2nd. Can I apply for both the BA card and Ink plus now? Have applied for 70k Ink plus card just this past Sept 15. Can I apply for the BA card and Marriot card at the same time now? Dan – I received part of the last 100,000 Avios bonus offer more than 24 months ago (50,000 initial + 25,000 for 1st spend), but the remaining 25,000 less than 24 months ago. Any thoughts on which date counts? Thank you. Don’t mean to go off topic here, but I posted a link on DDF citi as thread for 50k public offer, thought you might want to post about it. I have the card still from the 100k offer but had downgraded it to a fee free version(Don’t want to cancel as it’s one of my earlier cards and good for my score). Can I get the bonus again? I see that using avios they want lots of miles plus over $600 is there anyway flying british to tlv and avoiding the huge fuel charges/taxes? I am in the same boat… I got approved like 4 days ago and haven’t even received the card yet. Sending a secured message from your online account is the way to do in this case. Typically they will match the offer if it’s within the reasonable time. I don’t know how long that is but you will just have to try it and find out. Another method is call and plead… not sure if that has a better success rate than SM. As for other person wondering if too many chase cards will call for a review… I don’t know how many is too many but here is how many I have. This is in addition to 2 ink cards, one opened last year and one this year after closing 1 this year. how do I search with avios on air berlin to tlv? got my new ba card this week (2bm with ink). called, rep says all he can do is send a message to their marketing dept and they will send me a reply, anyone else? Dan, can you please make a list of BA flights from CLE? Any American flight (US also) for starters. Depends on your credit, but applying for a BA card isn’t going to raise any red flags. Her own account. But you can open a household account to pool miles if you want. I’d assume it would go by the initial signup bonus but you can send a SM to ask if you want. Should be considered a different product. At least that’s how it works for united and southwest. Seems like the MR bonus to BA is history as well. AA: DFW, JFK, MIA, ORD. From CAK you can also fly US to DCA. Hi Dan, I recently applied for the Ink Plus card and was rejected. If I am willing to close another Chase card to transfer the credit limit is it worth it for me to apply again for the BA and Marriott cards with 2BM? Would it be better to SM or call them first? Thanks! It is worth it as the Ink cards are much harder to get than consumer cards. You can call or SM if needed. Successfully SMed to get my AF returned for a card opened at the end of Sept. The AF had already posted and I’d already paid it, but they will refund it. So, I pasted the link to the offer (without affiliate codes) into an SM and they confirmed that I’d get a credit on my next statement. My SMs took me about 5 minutes total to write. From start to finish, the whole process took a few hours max. Does applying for another card create a review of history of spend for BM and then no spend? review of GCs history etc? credit no issue. how many max cards do they allow at a given time? your British Airways credit card account. will be reflected on your November 2014 billing statement. How long does it take till you get the card after applying? Thanks i just got approved!! Can i transfer from one ba account to another? hey, I live in israel, is it still worth it to get the points? and are flights from israel to Europe/America included with avios points? Dan, I have almost 200k Avios from the past promos and would like to use it for a trip from Seattle to Seoul, Korea. First of all, not sure if that’s even possible as I’ve been looking for ways. Second, is that not the best way to use it even if possible because it’s better to use shorthaul? I have basically followed your lead and gotten all the card promos you’ve written about in the past. Which program is best and most efficient use of mileage for Seattle to Seoul? Need help! Is it some way to get back $200 from Amex Platinum with BA Avios? dan, if I had this card more than 24 months ago, do I need a new ffn or can I use my old one? Guys,you are asking basic questions that you can look up. Please google. this section is after you did 10 hours of reading. really. Dan, if I ask the same question that has been asked and answered 50 times already will u still waste ur time answering it? Is there a direct flight from NY-Berlin-Israel for 30,000 points on BA? It seems like the only route to take in July on Air Berlin is NY-Dusseldorf-Berlin-Israel which is 34,500 points. Did I miss something? I’ve never had an issue. Depends on when you are approved. You can make a household account for Avios to pool them. I was talking about the 100K for spending $1K or 2K like there were in 2011 and 2012. Alas those seem to be gone and not returning. Frankly the 100K offer from 2013 is really the same 50K offer for $2K spend but then you get an extra 50K for your next $18K in spend if you complete the hurdle in a year. Effectively thats just giving an extra 2.7 points per dollar for spending another 18K in a year. And there was a $95 fee with that offer. Did you try searching on AA or BA.com? Also try searching for shorter legs by looking for a paid flight to see where flights connect. See the link in comment 39.
what if within 24 months would you use same ffn number? Will 3bm work for this signup and what is the advantage of this card over signing up for a regular cause card and then transferring the points to ba? Hi Dan! I’m in for booking a round trip to nyc-Mia with JetBlue should I rather open ba cc and fly with American one way? I’ve had the card which I canceled last year. Could I get the offer anyway? If yes, my bonus points were posted August 2012, even though I’ve had the card in the last few months. Could I still get it? It’s just another card to get more points with. That’s not what the offer details say. Concerning my last post, I see it doesn’t say that on the offer details through your link. It only says it if I go through Chase’s website – Does it make a difference? Also, if I got my bonus on August 2012 and my card was canceled in 2014, could I get it? There are offer details on my link right under the apply now button. They clearly say 24 months. According to the terms, yes. Should I put in my Executive Club Account number? Dan I realize I’m going a bit offtrack but is there anything tha Chase Sapphire Preferred card gives you more than the Chase United card? do you think 24 month rule for bonus will be enforced? Dan, how is it that my FICO score is 848 out of 850 per Barclays website and I still get rejected from Chase because I supposedly have too many Chase cards? I currently have Presidential Plus, Ink, Bold and IHG! How long has it been sinse your last bonus? Call Recon, no big deal. I had this card vut recently canceled it bec i didn’t want to pay the fee can i still get the bonus? When did you last get the bonus? Tried applying for avios card and freedom card 2bm hit approved for avios but denied for freedom based on the fact I have exceeded limit circa thirty day period of opening new accounts. Any ideas ? Dan, I applied and got approved this month for the Chase Sapphire Preferred, Chase Freedom and the United 50k card. Now I applied for this card and it says the decision is pending and they will notify me in the mail. Have I applied for too many cards in a month? I have an active card right now. I’ve had it since last February. I got the 50k bonus in April. With the 24 month rule I’m thinking it ‘s not worth the credit pull to apply now. Would you agree? Just got approved for this card through your link! Any easy ways to meet the spending requirements? (Cant pay rent with the card..) I was thinking buying Visa/Mastercard giftcards. Any other ideas? Thanks! Hey dan I just got this card and I have an amex everyday card not preferred tho. Can I still transfer 1:1 or does it have to be preferred? And if I can’t what should I do with this points (roughly 50k) thanks! How do I find out when I closed my last British Airways card? Do you have Serve or Redcard? Doesn’t matter when you last closed. It goes by when you got the last bonus. Call or SM to find out. @Dan: I did call recon they said call after the thirty days which us Monday and there was nothing they can do today and there is. I garantee of getting approved. Think one of problems was I tried doing 2bm but when I clicked submit for both one was missing some info and I think that’s where I went wrong. They also said they might have to run credit again, any ideas of what to say to make them not ? Red card available in New York yet? @Dan No I dont have redcard, what is that? Dan. thanks for all useful info, i have many credit cards open now. i am seeking to open this credit cards for 2 reasons. 1. to get points to exchange it for cash. 2. i have about close to $20,000 on my cards now and i want to transfer to get another year free apr. my hudband and i applied for ba visa few weeks ago and now we each should have 50000 avious, chase says thay sent them to ba membrship but ba doesnt have them yet, do u know how long normally it takes? also what can i try to get availability for boaca raton for mid winter vacation? 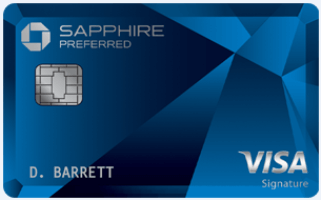 So I applied for this card a couple of weeks ago and I was denied because I just got the sapphire and freedom card within the month. I just called recon and they said they can approve me for the card but not for more credit then they have just given me last month (45K between the 2 cards), so they moved 10K credit limit from the sapphire card and put it on the chase card. So now I have all 3 cards, and once I spend the required amounts, that is 110,000 miles in a month. Not bad! 1 ok to book for friends? You can book for some friends, but don’t make a habit of it. MIA-NYC has always been 7.5K. I booked 18 months ago txl-tlv for 4500.
then needed to change and got miles back. how did it go from 4500 to 10000? I have a record on my account showing 4500 out for ticket. would one time booking for 3 friends going together for an account with no other activity be an issue? I meant serve when loading with this card? I applied the card and got it. Does it matter when I activate the card? Can I activate the card in about two months when I know I’ll be able to charge the amount that will get me the points. Or do I need to activate the card and use it right away in the first three months? I would really appreciate your response. Your advice is always greatly appreciated. 3 months begins from time of approval – even before you receive the card. WOw they are strict Start earning bonus Avios with the British Airways Visa SignatureÂ® Card* – apply now. 50,000 bonus Avios after $2,000 in purchases within the first 3 months of account opening*. This bonus offer is available to you as long as you have not received a new cardmember bonus for this product in the past 24 months. @Activate: Spending $2000 is the easiest thing: Get a Serve account for yourself, and one for your spouse/parent/child, and you can load each account with $1000 monthly, $200 daily. It will take you 5 days, and you don’t have to leave your house. 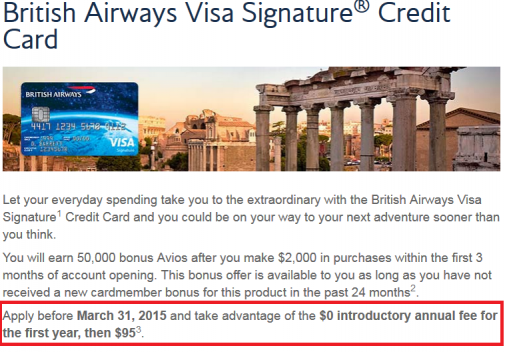 Can I combine avios earned with this credit card and aa miles earned with a citi card? Thanks for the info in this card. Since it has an annual fee. I will open the BA card instead. Do you know any brokers that can purchase from me? I want to close this account as it has a annual fee. Did you pay with cash+points? 3 friends on 1 ticket is perfectly fine. BA earns 1.25 miles per dollar. Depends on what awards you’re looking for. I don’t think there’s a market for JetBlue points. However closing the card doesn’t mean you’ll lose the points right away. Just finished all my bonus points that I got from my ba card 2 years ago. If I cancel it now how soon after can I reapply to get the bonus points? Or can I get it again without canceling my original card? Hi dan I opend this card just for the avois and I want.to eventually close the cars.will o lose the avios of I close the card ? 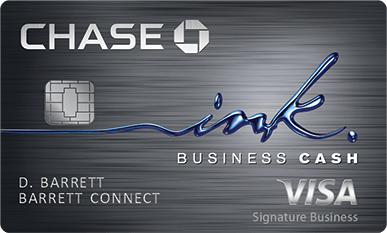 I have never used points for travel before and got 2 Chase Ink cards on which I have accumulated over 100,000 points. Now I need to travel somewhere on Delta. Is there a way to use those points for that? Expire if not used within a certain time? I have an old BA Chase Visa Signature account. I am not charged any annual fees. Is there any way to avoid cancelling this card in order to take advantage of the 50,000 Avios sign-up bonus? 1. CAN Green dot be loaed to serve at FD? on line? needs another card in between? @dan can i transfer the ba points to amex points?? Can you please advise guidance when it is advisable to close down a credit card? And Howe Top decide what card tip close. Hi Dan, I completed today to book a ticket to TLV through DUS on air berlin, I booked it as 2 seperate bookings, can i link the 2 bookings as one ticket to tlv from JFK, if yes is it done with british airways, air berlin or at the airport in JFK? Getting the AmEx Plat 100K bonus gets you 140,000 Avios and getting the cheaper Gold Biz gets 110K Avios with no first year fee. Looks like chase freedom 10% bonus is ending this year. 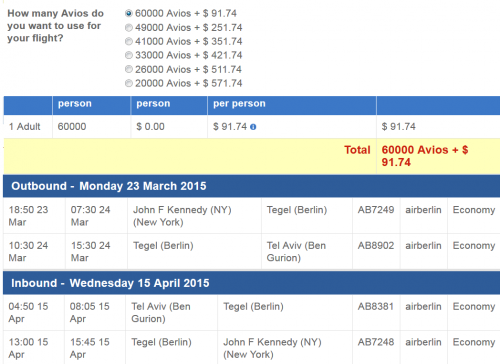 How many avios will a ticket from Israel to New York be? Link to card application doesn’t work. If you get compensated by them put up a good link, always like to support your site. You can view card offers via the creditcards.com banner links on the top of this site. I recently closed my ba credit card now i want to apply for another 1, what do i do what to still get the bonus make another ba acc and then connect them? Am I the only who got the as of April 30th? Non-BA expenses will be 1x and BA expenses will be 3x. That makes this card only worth it for the sign up bonus as there are so many ways to get BA miles. I got a British Air Visa Signature card in Jan. ’14 and canceled it March ’15. Can I apply for a new card now and get the 50,000 avios bonus, or do they really enforce the 2 year rule?